New year, new nails! Unfortunately my claws were getting stuck in the keyboard/mouse scroll wheel so I had to chop them off - one day they will grow clawlike again. On the flipside, I can finally stamp my full nail Konad designs again! 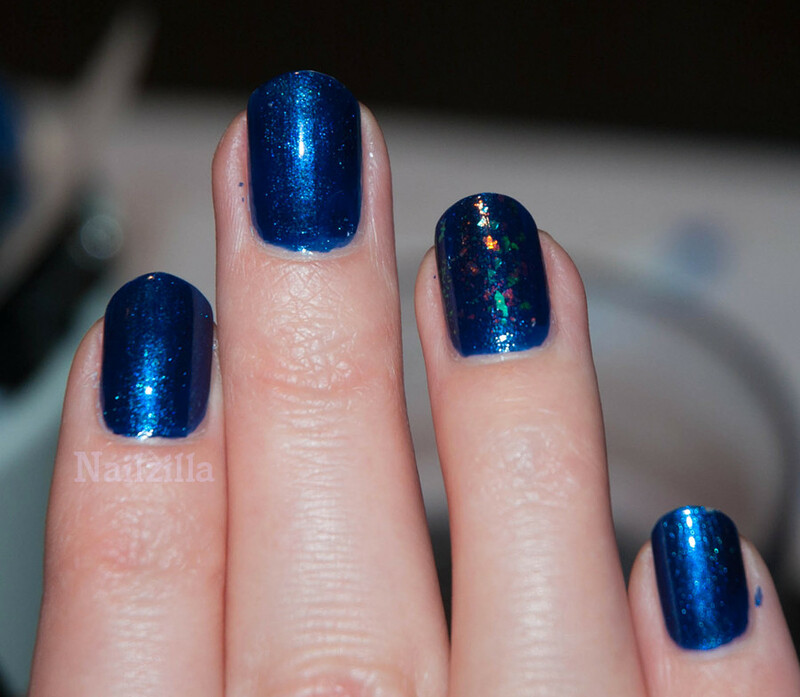 I'm wearing OPI Yoga-ta get this Blue, my very first blue color (and my first 'crazy' polish color!) 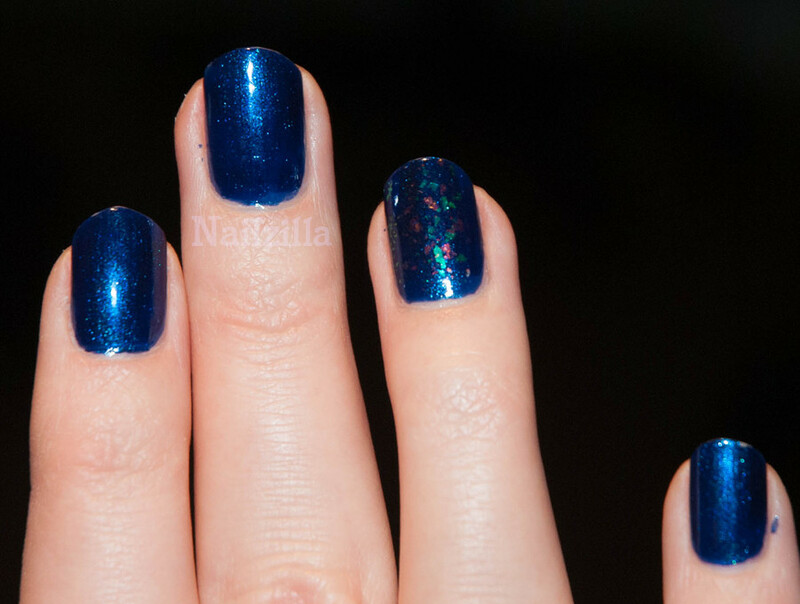 with mixed flakies on my ring finger as an accent. Who else started new nails this year? I will need to shorten mine very soon. Got problems at work with the length I have now.